Talk about stressful. The average American spends 42 hours a year on holiday activities. That’s one standard work week spent shopping, wrapping, and returning presents, attending holiday parties, and traveling from place to place. Often these extra activities get squeezed into already busy schedules. Holiday stress can take many forms. In a survey conducted by Mental Health America, money concerns and chaotic schedules are two of the top sources of holiday stress. Women reported feeling slightly more stressed than men — and parents in general feel more stressed than most groups. This year, take the pressure off. Here are eight tips to help you relax this holiday season. People who get stressed out easily are most likely to feel intense stress during the holidays. It’s really all about you, and not about the holidays. But there’s good news. You can learn to put stress in its place, and take the pressure off throughout the year. “Stress and distress are often related to worrying about the future or fretting about the past,” says David Levingston, LMFT, a licensed marriage and family therapist in Brattleboro, VT. To find peace and joy in any season, he advises focusing on the present moment. “When the holidays come around, there may be pressures pulling you in all directions off your center,” Levingston says. He suggests you make clear decisions about how you want to spend your time and resources. Do it early, before the decorations go up around town. Consider what is most important to you. What memories will you look back on when the season winds down? A little advance planning can help identify areas where you could cut back. Maybe nobody in your family enjoys certain functions. If so, be ready to RSVP with a polite no thank you. “It’s a part of all holidays that people get thrown off schedule,” says Hinda Dubin, MD, a University of Maryland professor of psychiatry. Dubin advises parents to stick with kids’ regular meal and bedtime schedules as much as possible. Eating and going to sleep at roughly the same time each day is good for children, Dubin says. Kids feel more secure when their days follow a predictable order. It improves their moods, and helps to create a peaceful household. Of course, a regular schedule isn’t always possible during the holidays. You can offset holiday chaos by involving your children in holiday planning. Having a say in the planning can help your kids feel more in control during busy times. Shopping — especially if you’re worried about money or getting elbowed in the stores — can drain the fun out of the holiday season. People who focus on gifts generally feel less holiday cheer than those who spend more time with close friends and family. Also, despite your best efforts, your gifts may not express your love as well as you hope. 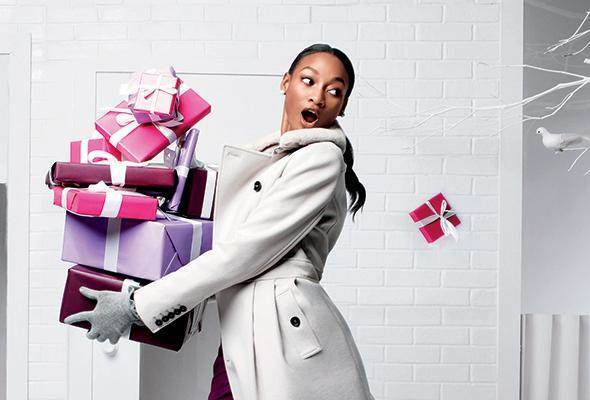 According to a survey by Consumer Reports, up to 49 million people get gifts they don’t want each year. Some people donate their holiday duds to charity, return them, or try to sell them on eBay. A few even post photos of “bad gifts” online. So, think about what your loved one truly enjoys. Perhaps lunch out together would be appreciated more than a scarf. Many families have had to cut back on holiday gifts. If this includes you, have a family meeting and get creative. “Some families draw names and each person buys for one person. Some families do handmade gifts or coupons,” Dubin says. A coupon might be good for a massage or night off from doing the dishes, for instance. You don’t have to go into debt to make the holidays special. There is a reason many people equate holidays with family strife. “When you have a group of people in a small area and everyone expecting to have a great time, it is almost a set up for arguments,” Dubin tells WebMD. With so much emotion and expectation, the holidays are not the best time to work things out. If old family baggage surfaces, plan to talk after the festivities wind down. “It’s better to address emotional issues in a more relaxed, private setting,” Dubin says. Even if you shop less and focus on family time, stressed-out friends, in-laws, and co-workers may still come calling. How can you be a good friend and keep your calm? Try not to take things personally. Levingston says that’s one of the most important skills you can learn to reduce stress. During the holidays in particular, he says, most people are trying to get their needs met. Maybe it’s their need for love or simply for validation. “Even if someone is being a jerk or insensitive, it is their way of trying to get their needs met,” Levingston says. So try not to think about how people “should be.” Accept them as they are, and release the tension from your body. “I think when we can see where people are coming from, there can be less frustration and more compassion,” Levingston says.